A passion for creativity inspired Sheila Aylward to establish Ormond Soft Furnishings in 1987. 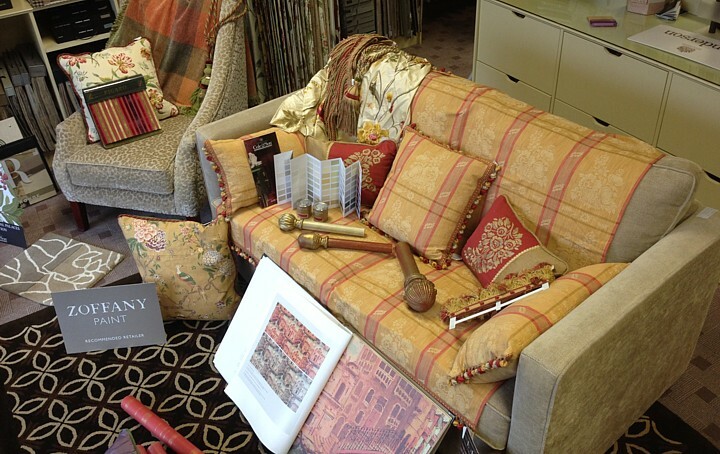 As the business expanded the need to branch out into a wider collection including designer fabrics, wallpapers, paints, blinds, trimmings, lighting, furniture and other accessories became essential. In 2004 after 7 years in the business with Sheila, her daughter Niamh, inspired by the market growth and demand for beautiful fabrics and wallpapers in the south east opened a showroom in Waterford city, situated in the Ballinakill shopping centre, on the busy Dunmore Rd. With the unfortunate downturn in the economy Ormond Soft Furnishings decided to downsize accordingly and after much deliberation closed the Carrick on Suir shop after 23 years and relocated all trading to the Waterford showroom. However with business building steadily and the economy looking brighter the need for more space led to the opening of the exciting new showroom in November 2012 in the same shopping centre at Ballinakill. With free parking and close proximity to various boutiques and restaurants a visit to the new showroom is a convenient and pleasurable one. The extensive library of fabric and wallpaper mean every budget and taste is catered for and with the design studio on site every detail is carefully planned and designed with the client.